Quarterly subscription – Regular price – $35.97; Discounted price – $25.99; Discount available – $9.98 (27%); Average price – $8.66/month. Half-yearly subscription – Regular price – $71.94; Discounted price – $51.99; Discount available – $19.95 (27%); Average price – $8.66/month. 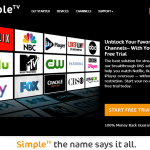 Yearly subscription – Regular price – $143.88; Discounted price – $101.99; Discount available – $41.89 (29%); Average price – $8.49/month. Quarterly subscription – Regular price – $77.97; Discounted price – $72.99; Discount available – $4.98 (6%); Average price – $24.33/month. Half-yearly subscription – Regular price – $155.94; Discounted price – $137.99; Discount available – $17.95 (11%); Average price – $22.99/month. Yearly subscription – Regular price – $311.88; Discounted price – $231.99; Discount available – $79.89 (25%); Average price – $19.33/month. Quarterly subscription – Regular price – $143.97; Discounted price – $139.99; Discount available – $3.98 (2%); Average price – $46.66/month. Half-yearly subscription – Regular price – $287.94; Discounted price – $259.99; Discount available – $27.95 (9%); Average price – $43.33/month. Yearly subscription – Regular price – $575.88; Discounted price – $499.99; Discount available – $75.89 (13%); Average price – $41.66/month. 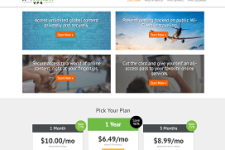 4) 1 Day Trial Offer – HotVPN does not offer free trials but you can test the service for a day by paying just $2 ($3 for Pro Anonymity plan, $4 for Crazy Anonymity plan). The above HotVPN promos do not require a coupon at checkout. To avail the discounts, you just need to click on HotVPN’s links available on this page (or the Redeem button) to go to the provider’s official website. Click on the “Order” link at the top and you should see the discounted prices automatically. 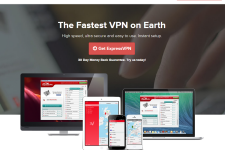 What Makes HotVPN A Great Privacy Option? HotVPN is a proven privacy solution that has been in existence since 2006. The service delivers very high level of encryption (up to 2048 bit) and anonymity (via Double VPN and Quard VPN) so it is well suited for activities where privacy is of paramount importance. The enhanced level of security also ensures that your personal and financial data remains out of reach of hackers, criminals and sophisticated data sniffing programs. HotVPN has deployed its gateways at many important American and European locations. By changing your IP address through HotVPN, you would be able to unlock your favorite social networking sites as well as premium On-Demand services such as Hulu and Netflix that can only be accessed from a handful of countries. The service also makes it very easy to circumvent firewalls and censorship that are often deployed by governments, educational institutions and corporations.